Events in south-eastern Ukraine have taken a very dangerous turn, the Russian Foreign Ministry said in a statement on Sunday. “The Kiev authorities, who self-proclaimed themselves as a result of a coup, have embarked on the violent military suppression of the protests,” the ministry said adding that the rallies, which have gripped the Donbas region were prompted by Kiev’s disregard of the legitimate interests the people. Moscow slammed Sunday’s order, issued by the coup-imposed acting President Aleksandr Turchinov approving a full-scale security operation in the country’s eastern regions, as “criminal”. 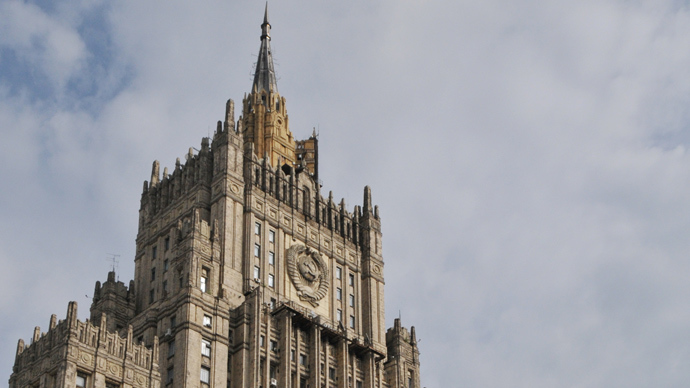 The ministry’s statement elaborated that Russia strongly condemns attempts to use brutal force against protesters and activists by involving militants from the far-right Right Sector group or other illegal armed forces. The West should bring its allies in Ukraine's government under control, Moscow said stressing “it depends on the West now to stop the civil war in Ukraine”. “We demand the Maidan henchmen, who overthrew the legitimate president, to immediately stop the war against their own people, to fulfill all the obligations under the Agreement of 21 February,” the Foreign Ministry said. 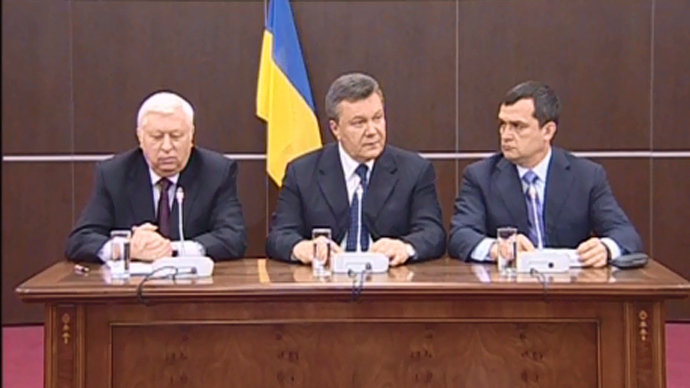 The Kiev authorities have to start a national dialogue with an equal participation of all regions to make urgent and radical constitutional reforms, the ministry said. Russia will put an urgent discussion of the situation in eastern Ukraine on the agenda of the United Nations Security Council and the Organization for Security and Cooperation in Europe (OSCE). 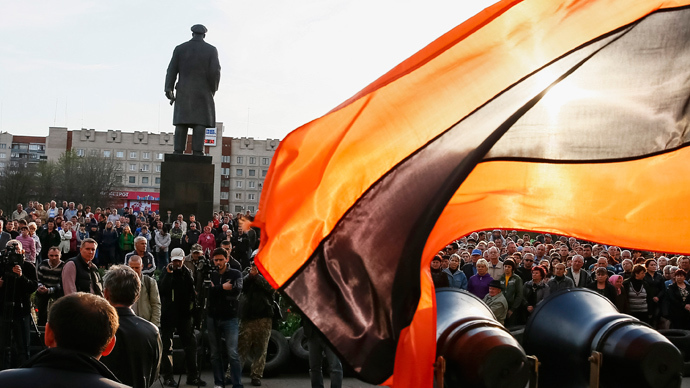 Massive protests have gripped the south-eastern territory of Ukraine with activists seizing government buildings in Donetsk, Lugansk, Slavyansk, Mariupol, Kramatorsk and the towns of Druzhkovka, Krasny Liman, Khartsyzk and Ilovaisk. 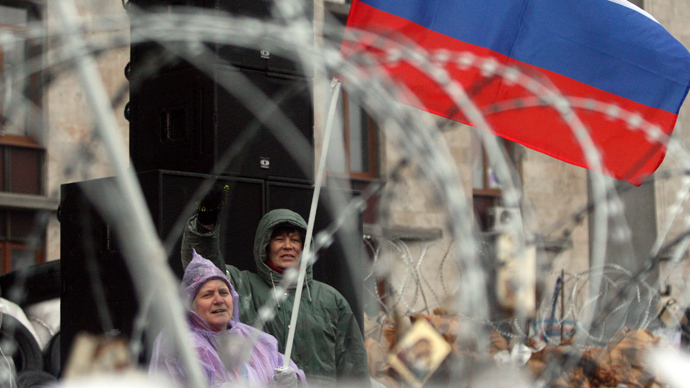 Residents of other cities have been rallying for the federalization of Ukraine. 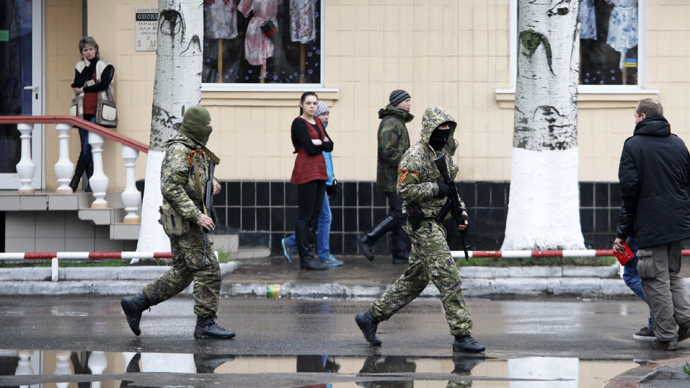 On Sunday the Kiev government launched a crackdown operation in Slavyansk. Following the event, Ukraine’s Security Council has approved a full-scale security operation in the country’s eastern regions. The coup-imposed President Aleksandr Turchinov set a deadline until Monday morning for the pro-independence supporters in eastern Ukraine to leave the government buildings they have occupied or the military will use force.